Why Choose Fun Services New England? 1. Fun Services invented The Holiday Gift Shop concept over 45 years ago. 2. Fun Services provides local and personal service. Our friendly, experienced, and professional staff members hand deliver to 90% of our customers. 3. 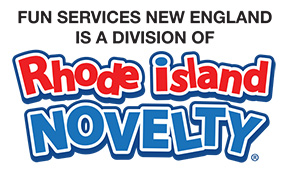 As a proud partner of Rhode Island Novelty, Fun Services holds a buying power advantage in the market offering the most competitive pricing and the largest selection of products. 4. Keeping up with the new trends and styles, Fun Services’ in house design department creates new product lines annually. 5. All high quality products range from $.25 to $10, fitting any budget. 6. 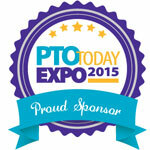 As a proud sponsor of PTO Today, the Fun Services booth can be found at all local Expos for raffles, product previews, giveaways and support. 7. Fun Services offers a 100% consignment based Holiday Gift Shop program, meaning payment is only made for sold items upon completion of each shop. 8. Reorders during shops are unlimited and receive next day delivery when ordered by noon. 9. Fun Services provides a Written Guarantee of Satisfaction to all customers promising to replace damaged or unsatisfactory products quickly with no questions asked. 10. Fun Services provides instantly redeemable bonuses and loyalty incentives with no sales requirement necessary.